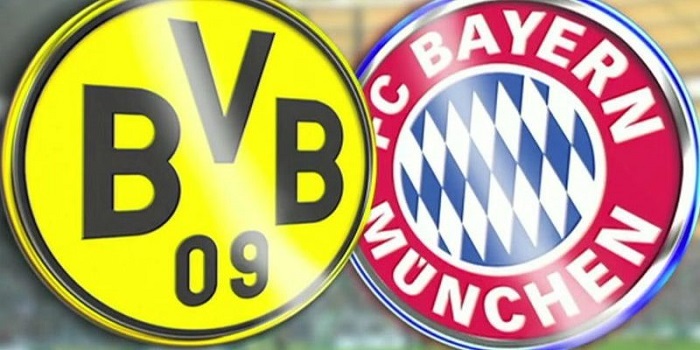 Borussia Dortmund vs Bayern Munich predictions for this weekend’s German Bundesliga. For now they lead the Bundesliga table with 24 points after 10 meetings, though their game skills are far from being ideal. The squad managed to display perfect attacking ingenuity, unlike it was in the past season, and netted already 30 goals in 10 matches of Bundesliga. All these factors influence the spirit of Bayern as the BVB are highly motivated before the clash with the opponent after the defeat to Atletico 2-0. Though Bayern is leading Group E after four matches, each victory does not come easy. Just like they got the win over AEK Athens 2-0, but there are still so many questions left concerning the game overall. After this confrontation they come up to the match with Borussia Dortmund. Any team would consider it the best asset as both have equal time to recover. Considering attacking forces of Bayern, which are quite strong, their defence is reliable by no means. The opponents may surely take advantage of this vulnerability. Attack – Borussia’s strong point. They have almost never left the field without scoring a goal. Bayern by no aspects concede to Borussia and show themselves pretty good in attack, having some issues with defence though. In 3 out of 4 last matches of these clubs Both to Score invariably succeeded. The upcoming clash would be no exception. Certainly the game would get a big rush among the fans since two Bundesliga leaders go head to head. Most likely the game would be quite effective with great number of goals scored. Therefore, our prediction should obviously succeed.